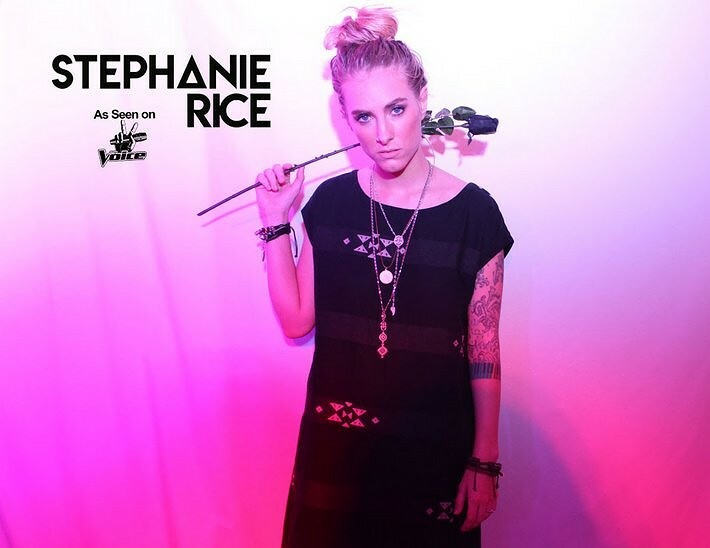 Adding to the already impressive music lineup for the 28th annual Dinah Shore Weekend, Club Skirts announces a performance from acclaimed pop-rock artist Stephanie Rice, best known for her appearance on season 12 of NBC's The Voice. Jessie Reyez performs at the Sunday night Closing Party at Zelda's Nightclub. Snow Tha Product, an MTV VMA award winning Latina lyricist and emcee with hip-hop, pop and R&B sensibilities, is exactly the rapper we need right now. The SoCal native, who records in both English and Spanish, has been involved in some pretty high-profile music collaborations, working with the likes of Ty Dolla $ign and Lin-Manuel Mirandaon “Immigrants (We Get the Job Done)” from the Hamilton Mixtape. A well known artist and influencer in the social media world, the Atlantic Records artist has a legion of loyal fans awaiting her new releases. When not working on music, she’s building up her acting credits, which includes a recurring role on USA Network’s “Queen of the South” as gang leader Lil' Traviesa. She has been recognized and respected throughout the hip-hop industry for carving her own lane. Her reputation as a spitfire performer has her nonstop energy shows selling out from the West to East Coast. Catch Snow Tha Product headlining The Dinah's TGIDF Pool Party, March 30at the Hilton Main Pool. The Snow Hill, NC native created more than a massive buzz at the close of 2017 with the release of her lyrically poetic solo album dubbed Lalia's Wisdom. The smoldering album, in which she expertly spins out stories of love, resilience and female empowerment, features an impressive list of monster names including rap heavyweight Kendrick Lamar. Catch Rapsody at The Dinah's April 1, Sunday Funday Pool Party, held at The Hilton Hotel in downtown Palm Springs. Inspired in part by 90's rapper Lil' Kim, Candy's own musical career stands out with her uniquely blunt, irreverent sound and hyper-sexual, highly explicit songs presented in colorful videos. The provocative artist made a couple of guest appearances on Charlie XCX's tracks including the singles “Cloud Aura” and “I Got It” featuring Cupcakke andPablo Vittar. The self-identified queer artist separated with her record label Sony RCA in 2017 in hopes of getting back to her punk inspired roots. Brooke has been hard at work shaping her solo career and showcasing her smooth flow and raunchy realness. Her next single is a collaboration with Lizzo, which will be followed by her second EP Who Cares, produced byMNDR, to be released in this spring on Wondersound Records. Artists like Brooke Candy are now more than ever needed. She's effervescent, charismatic and fearless and the freedom and enthusiasm she expresses is beyond contagious… she leaves you wanting more; it’s electrifying and undeniably best experienced live! Brooke Candy will headline The Dinah's Saturday Wet & Wild Pool Party at The Hilton Hotel in downtown Palm Springs. Gandhi grew up between New York City and Bombay, India, playing drums and attending The Chapin School. She currently holds degrees from Georgetown (Math, Political Science, Women's Studies) and an MBA from Harvard Business School. While attending Georgetown, she also immersed herself in the vibrant DC music scene, once playing Bonnaroo as the drummer for the famed Thievery Corporation. Between 2011 and 2013, she worked at Interscope Records as their first ever digital analyst, studying patterns in Spotify and YouTube consumption behavior. In 2013, Gandhi linked up with Grammy-nominated artist M.I.A. and began touring internationally with her as her drummer. Madame Gandhi headlines The Dinah's Friday night Pink Party at the Palm Springs Convention Center. Her unique brand of performance that transcends the traditional boundaries of a concert is truly showcased in Ariana and the Rose’s immersive live music party ‘’light + space,’’ a galactic multi-sensory disco. Nylon Mag captured Ariana's galactic grandiosity when they said, “Pop culture craved a technicolored synth pop powerhouse in the making, and Ariana and the Rose dropped in from her special place in the cosmos to quench it.” Her purpose is clear: step into her starry universe, and leave your inhibitions at the door. Ariana and the Rose perform Saturday's Wet & Wild pool party at the Hilton Main Pool.